The inflation theory attributes the origin of large scale structures to quantum fluctuation (of the scalar field), which occurred near the beginning of Big Bang. The fluctuation is subsequently enlarged by the inflation and served as a blue-print for the large scale structures such as the superclusters. 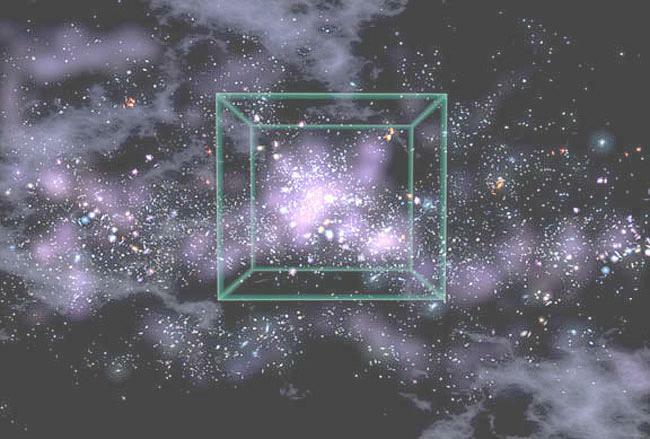 Figure 03-10 depicts the supercluster formation from quantum fluctuations. The dot at the top shows the actual size, just at the end of inflation. An enlargement (about 300X) of a small section of the universe at this time is shown in the middle. Eventually, after about 14 billion years, the imprint has accumulated enough matter and form the Coma supercluster today. In gravitational terms, the superclusters are merely slight irregularities on a basically smooth universe. It requires only one part in 100,000 of its rest-mass energy to pull the structure apart. This is in agreement with the observed fluctuation level in CMBR and is referred to as scale invariance..
a settling time 1000 times longer than the age of the universe. The inconsistency can be resolved only if there is "dark matter" to enhance the fluctuation. Since dark matter interacts with normal matter only through gravity, the pressure that kept the normal gas from collapsing coundn't act on it. Particles of dark matter enjoyed an unimpeded assembly into large structures (in the form of primordial fluctuation) long before the normal gas could begin to get organized. By the time normal matter decoupled from the photons, the dark matter had already grown into a primitive web-like network. As soon as the normal matter lost its support from the photon pressure, the gravity from the pre-existing dark matter structures quickly pulled normal gas into the web. In this way, normal matter was given a gravitational "head start" by dark matter. Recently in early 2004, several new measurements of galaxies and clusters in the early universe indicate that the structures involving galaxies and clusters are larger than expected with the new standard "dark-energy" cosmology. 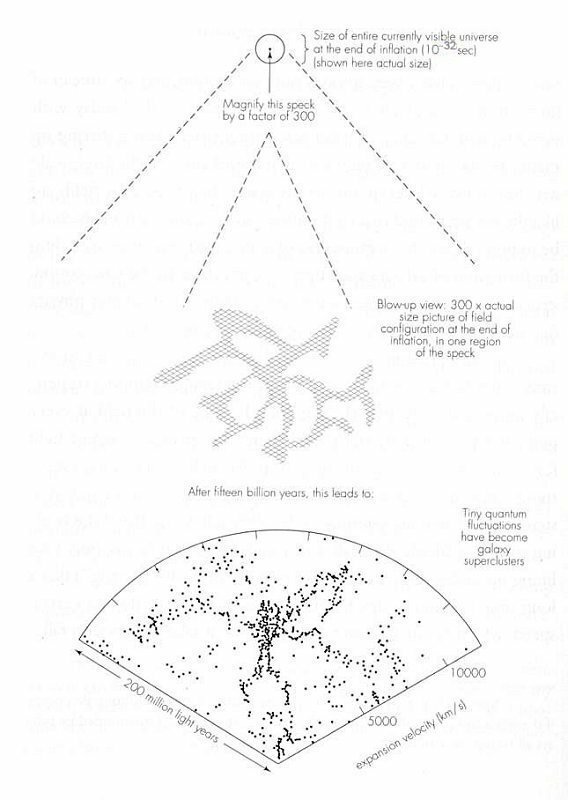 The controversy centers on the inability of a dark-energy dominated universe to create such large structures within such a short time (1/5 of the present age). More researches are required to validate such observations. The next step is to map an area of sky ten times larger, to get a better idea of the large-scale structure. Several such surveys are currently under way. Figure 03-11 is a computer-generated illustration of a universe that shows a string of galaxies of the size measured - 300 million light years.